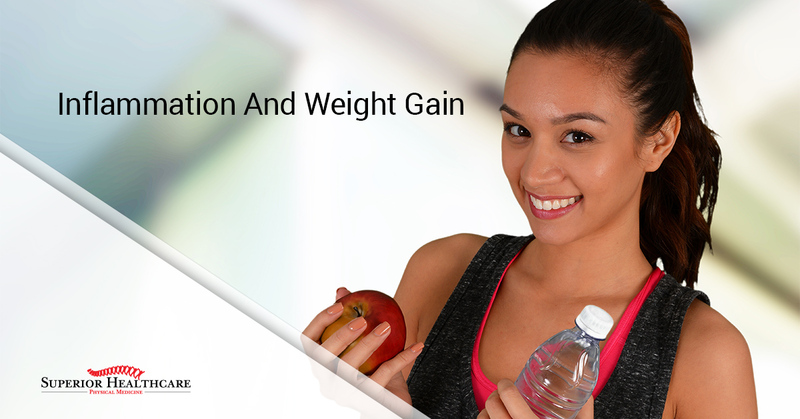 This is the second article in our six-part series about how the ChiroThin Weight Loss Plan works and why it might be a good starting point for you if you are ready to lose weight and begin a healthier lifestyle. Here’s what this series of articles covers. When your digestive system isn’t working properly, you may not be getting the nutrients you need which can cause your body to hold on to fat that it might otherwise shed. This begins a vicious cycle. The more fat your body accumulates, the more hormones and cells it releases that trigger inflammation, exasperating the digestive issues that started you down this road in the first place. An example is C-reactive protein (CRP), which we mentioned in our last article. It is produced by the liver and creates inflammation. It is a marker that indicates a patient may be suffering from some kind of chronic disease or infection. Chronic inflammation impairs your brain’s ability to process hormones properly, which also leads to weight gain. The best example of this is Leptin. In healthy people, the hormone sends a signal to the brain which suppresses appetite and speeds metabolism. When the brain can’t process that information properly, you don’t get the signal that says you are full, increasing the chances you will over eat. To add insult to injury, your metabolism also slows so those extra calories just turn straight to fat. If you are mildly allergic to certain foods, your body is going to have an immune response, and, you guessed it, create more inflammation. Once you’ve started losing weight, you’ll probably be able to tell when you’ve eaten one of those foods. You’ll feel bloated, and the digestive issues that have become a distant memory will return. Pay attention to those signs and work on eliminating those foods. Your body will thank you. This leads us to the one thing that almost all of us struggle to avoid; sugar. It is in everything from spaghetti sauce to canned chicken broth. If you read the labels of every processed food you buy, we’d be willing to bet that 90 percent or so have some kind of sugar listed as an ingredient. Sugar contributes to chronic, low-grade inflammation which can lead to all kinds of problems. In our next article, we’ll talk about sugar in depth and discover why it is so important to understand the glycemic index. Start on a new path today. The best way to put a stop to the cycle is by starting with the ChiroThin Weight Loss Program and maintaining healthy eating habits. If you are ready to begin, please give us a call to schedule a consultation. We’re here to help.